MOSHI MOSHI FESTIVAL 2018 in SHIBUYA was held in Shibuya and Harajuku on March 24th and 25th. 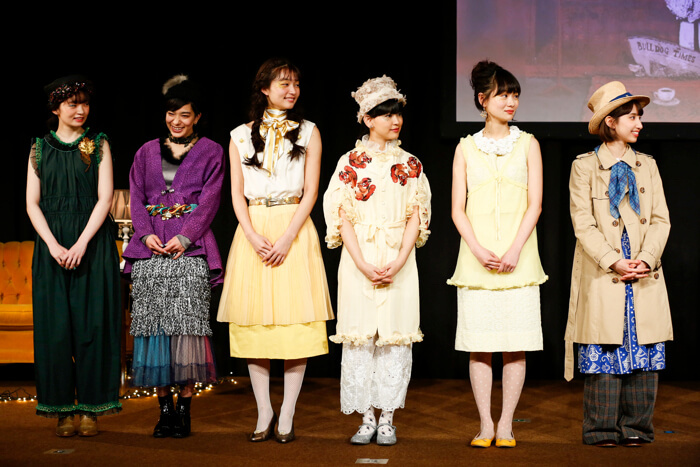 On Saturday March 24th, model and artist Natsume Mito held her first ever fashion show Tobidase! 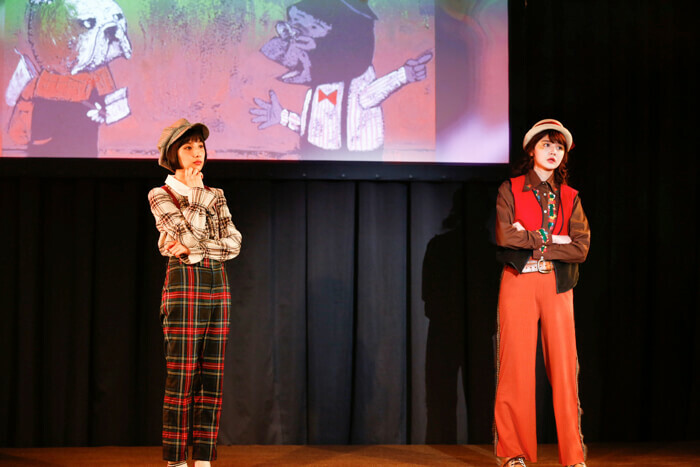 Picture Book Show ～Storytime With Natsume Mito～ at Laforet Museum Harajuku. 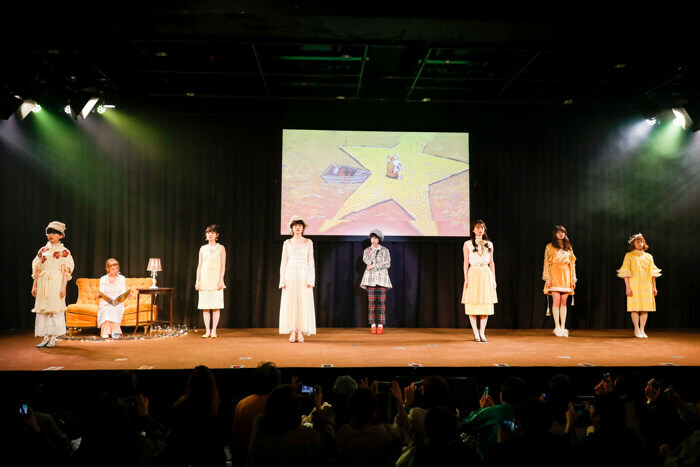 Natsume Mito fully produced the fashion show which was themed on Bulldog Tanei to Kieta Hoshi (BUNKEIDO Co., LTD.), a picture book by Tomonori Taniguchi. The story is as follows. The stars have disappeared from the sky. During this time, a letter arrives for the bulldog detective requesting he search for the lost stars. He accepts and heads out to find them. He’s able to locate them, but why did they disappear, and who sent the letter…? This exciting story is full of heart and can be enjoyed by kids and adults alike. 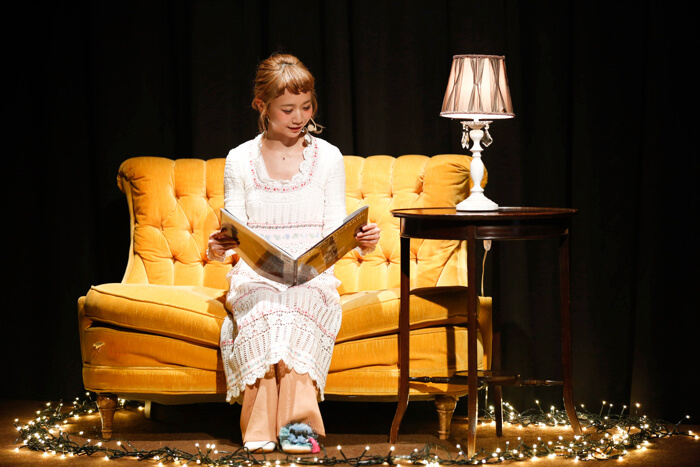 Natsume Mito read the story aloud while a cast of Japanese models brought the world of the book to life through fashion. 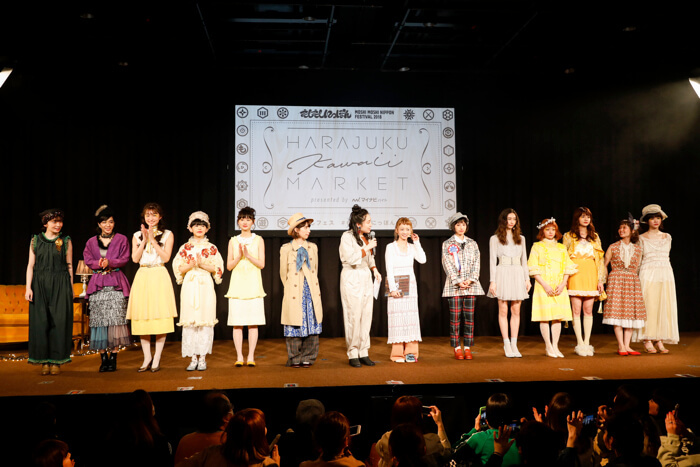 Models that performed included Yuri Suganuma, Ema Tanioku, Eri Tanioku, Aino Kuribayashi, Chie Tsuji, Abe Akari, Saki Shibata, Rinko Murata, Manaka Arai, Alice Ikeda, Una, and Anna Kawamura. 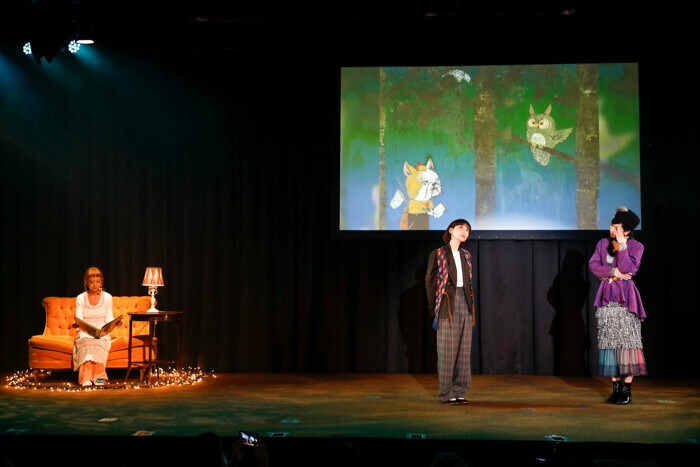 Natsume Mito styled the outfits in the image of everything from the bulldog detective to the animals, moon and stars. 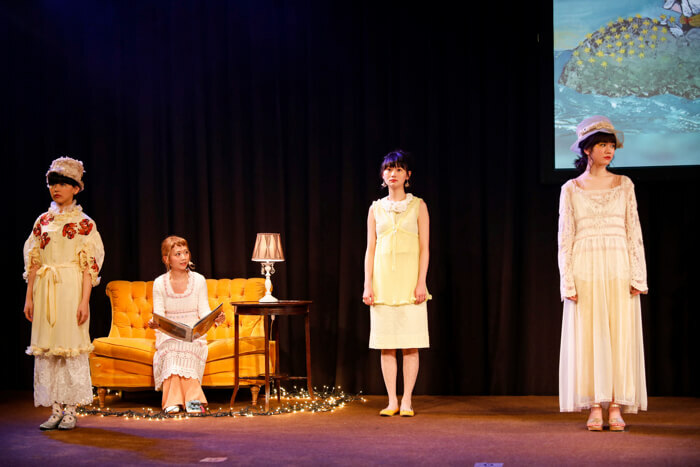 The models were immersed in their roles and walked and posed as directed. 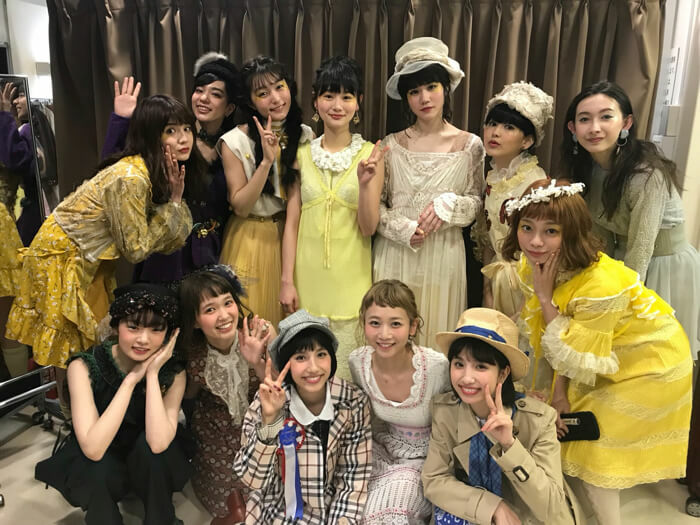 At the end of the show, the models that performed spoke with the stage presenter Rei Maruyama and gave their thoughts on this first ever fashion show. Tobidase! 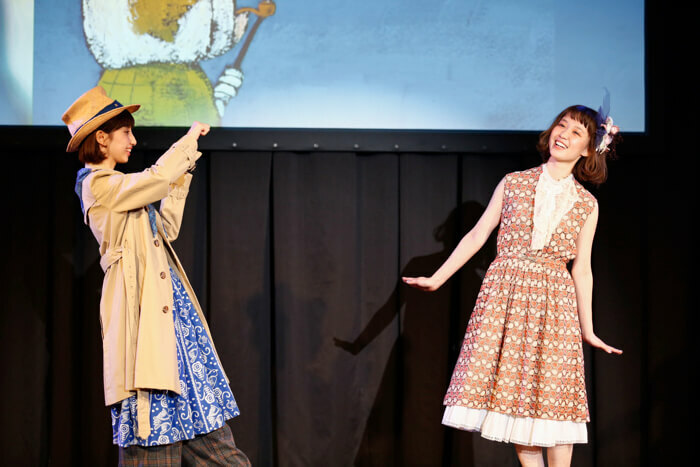 Picture Book Show ～Storytime With Natsume Mito～ wrapped up with much success. Look forward to the many things Natsume Mito will challenge herself to next!